Jonti-Craft 0539TK Media Tower by Jonti-Craft at Indsight. MPN: 0539TK. Hurry! Limited time offer. Offer valid only while supplies last. Two sides to display and two sides for storage in one unit. The eight display shelves are fixed, while six of the book shelves are adjustable. Two sides to display and two sides for storage in one unit. 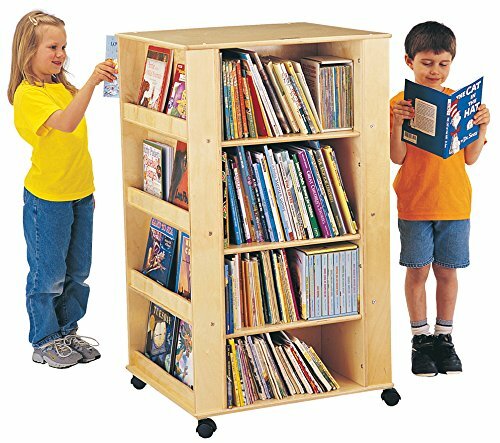 The eight display shelves are fixed, while six of the book shelves are adjustable. Displays are approximately 2½" deep. Shelves are 18¼" wide x 11" deep. Caster mounted.